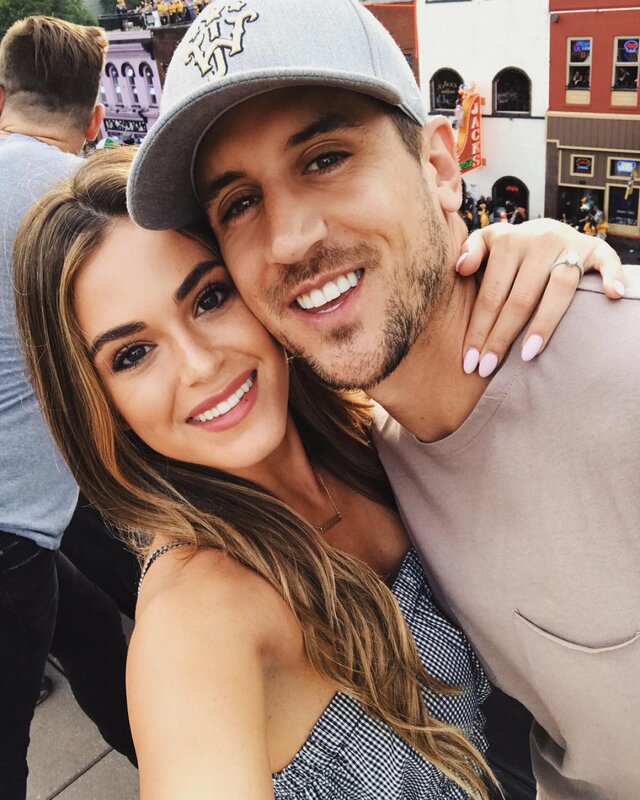 JoJo Fletcher shared a birthday message for her "gem of a human" fiance Jordan Rodgers on Wednesday. The former "The Bachelorette" star, who got engaged to Rodgers on Season 12 of the ABC reality dating series in 2015, celebrated her husband-to-be's birthday by showering him with praise in an Instagram post. "Happy Birthday to this gem of a human-- there are so many reasons why you deserve to be celebrated, not only today, but everyday!" Fletcher wrote. She went on to list a number of things that Rodgers does that she's thankful for, before ending the post to keep it from getting too "mushy." "To name a few, thank you for always being my rock, for giving me a million laughs, for being a daily example of what it's like to chase after dreams and never give up, for holding my hair back when I've had one too many roses, for always dancing along side me when I embarrassingly try to, and of course, for loving me (& Jackie moon) with everything you have," she wrote. Rodgers and Fletcher celebrated their engagement in August 2015, months after Rodger's ex-girlfriend Brittany Farrar accused him of being unfaithful during their relationship.